From the moment Pope Francis first stepped out onto the balcony above St. Peter's Square, he's shown a gift for the seemingly impromptu gesture and unscripted comment. Referring to himself simply as the bishop of Rome, he looked out at the crowd and said, "I would like to give the blessing, but first-first I ask a favor of you: before the bishop blesses his people, I ask you to pray to the Lord that he will bless me." It was an unexpected, even endearing beginning to his pontificate, a sign that he might conceive of the office in a way that was different from that of his predecessors. And for the most part, Francis really has struck a contrast with the professorial Benedict XVI and the larger-than-life John Paul II. This pope's freewheeling style is, at its best, a complement to his emphasis on mercy and calls to reach out to those on the margins. Francis's embrace of a man disfigured by boils has become one of the iconic images of his papacy. His off-the-cuff remarks to the press on the papal plane reliably generate both praise and controversy. It was during one such session that he proclaimed, "Who am I to judge?" From the simplicity of his dress to his description of the church as a "field hospital," he is not one to obsess over rules and formalities. But as Francis's papacy nears its five-year mark, the limits of this approach have become apparent. On his January trip to Chile, Francis faced questions about his controversial appointment of Juan Barros as bishop of Osorno. The pope has long defended Barros, who has been credibly accused of covering up the sexual abuse of minors by his mentor, Fr. Fernando Karadima, and this time was no different. "You, in all good will, tell me that there are victims," Francis said, "but I haven't seen any, because they haven't come forward." Without proof, he dismissed the charges as "calumny." This was a shocking, incredible statement. Karadima was sanctioned by the Vatican in 2011, and victims testified to Chilean prosecutors that Barros and others had witnessed the abuse and done nothing. It was only because of the statute of limitations, the judge made clear at the time, that Karadima was not convicted and sentenced-not because the accusations against him were suspect. 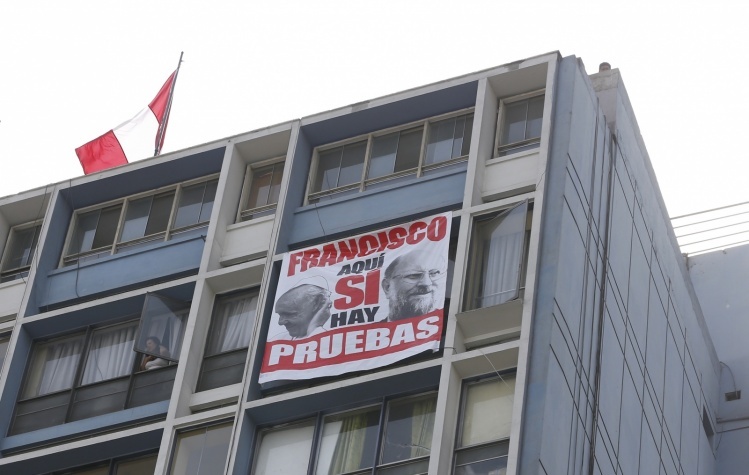 When Francis named Barros a bishop, it was over the protests of the Chilean bishops' conference. An Associated Press story reported that Francis "seemed completely unaware of the details" of the scandal, raising troubling questions about the information he's receiving and his approach to governing the church. The same story noted that Francis "has created an informal, parallel information structure that often rubs up against official Vatican channels" and speculated that he might be relying on "instinct" and his own network of informants rather than on "the high-quality briefings befitting a world leader." The pope reportedly keeps his own visitor's schedule and makes his own phone calls, all from the more accessible Santa Marta residence, not the Apostolic Palace. It is a system that makes accountability difficult and that substitutes Francis's own temperament, judgment, and knowledge for real, structural change. Further questions, even more disquieting, are raised by another AP story revealing that Francis "received a victim's letter in 2015 that graphically detailed how a priest sexually abused him and how other Chilean clergy ignored it"-clergy including Barros. Members of the pope's Commission for the Protection of Minors sent a delegation to Rome, where they hand-delivered the letter to Francis's top adviser on sexual abuse, Cardinal Seán O'Malley, who then gave it to Francis himself. These reports reveal the shortcomings of Francis's impatience with established procedures and the unglamorous business of steering a sclerotic bureaucracy. No issue threatens the church's witness and credibility like its ongoing response to the sexual-abuse crisis, and it's inexcusable that Francis responded the way he did. That all this comes so soon after letting the Commission on Protecting Minors lapse is further cause for alarm. The letter that Francis received in 2015 directly contradicts his claim that no victims had come forward in Chile, and makes it difficult to believe that he was defending Barros out of ignorance. Francis's election, with its promise to return a real measure of authority to local churches, gave new life to the reform agenda of Vatican II. But when it comes to the crisis that has devastated the church, it increasingly looks as though Francis is only offering more of the same-or worse. He might not be inclined to judge, but the church and the world are watching, and will not hesitate to do just that. Francis has demanded accountability from priests and bishops, and now must be held to account himself.